Annual to 90cm. Companion to strawberries. Blue star shaped flowers. Good bee forage. 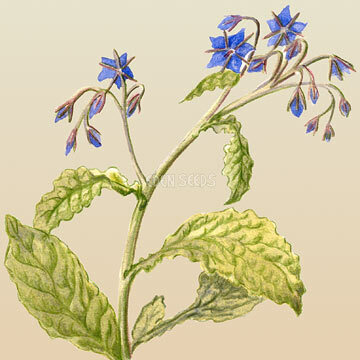 Young leaves and flowers are excellent for salads and garnishes. 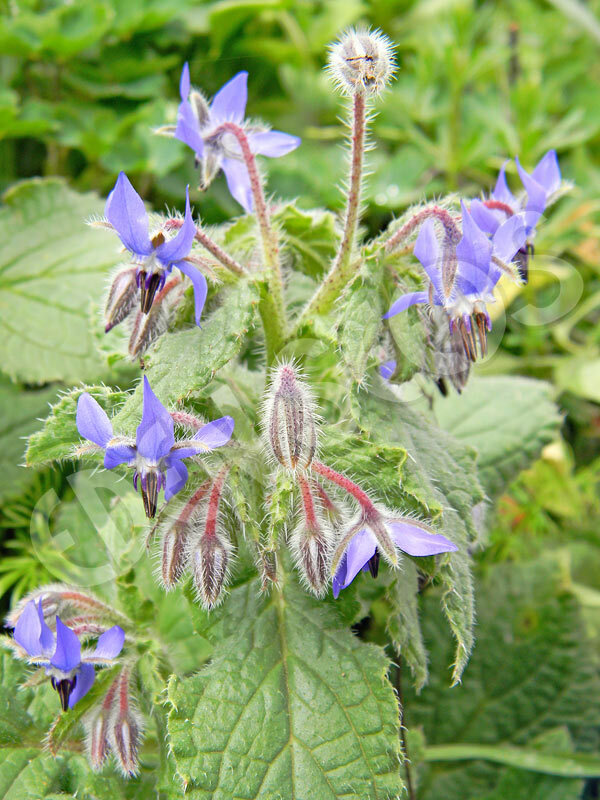 Seems to have calmative properties - "gladdens the heart". Concentrates potassium. Spring, summer and autumn planting. 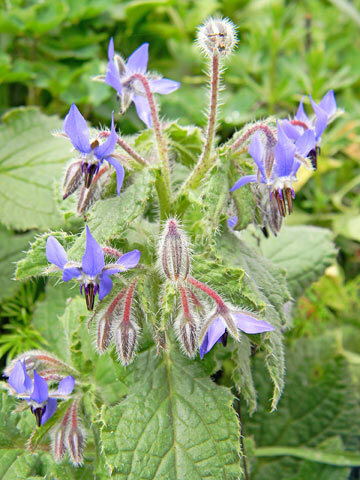 Read more on growing Borage here.